Like a warm mug of hot chocolate, only better! 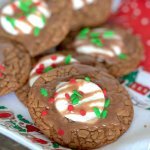 These rich & chewy hot cocoa cookies are the perfect treat for snowy days or as a part of a holiday cookie spread. 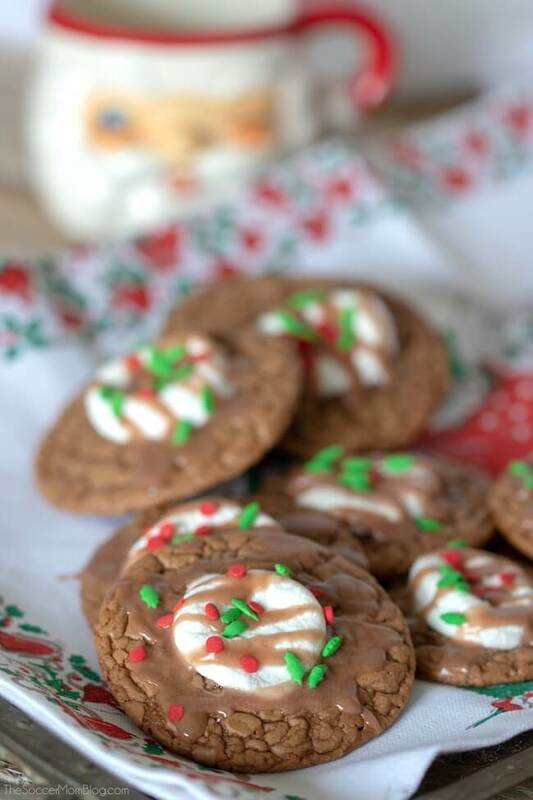 The holidays are infamous for the “cookie table” — that place at the party where there is an array of baked goods to tempt you as you mingle with friends and family. 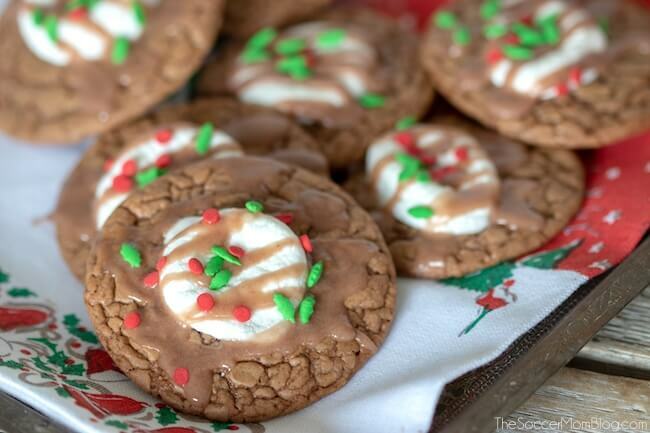 These hot cocoa cookies are a guaranteed standout among the crowd of cookies on the table! They’re soft and chewy, just like fudge brownies, and coated in a rich fudge icing – with a soft creamy marshmallow in the middle! 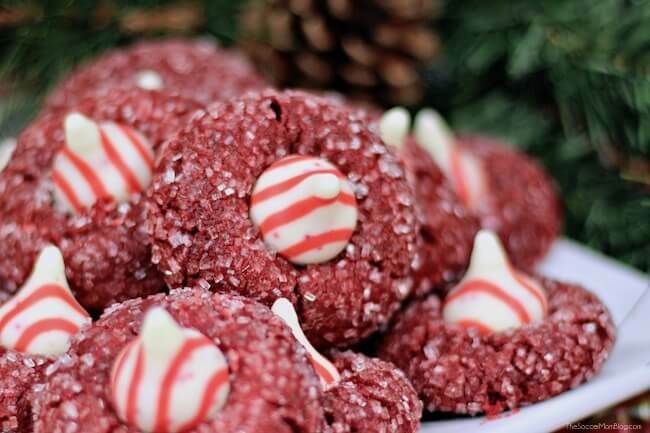 This is one Christmas cookie that is definitely worth the splurge! In fact, we love these cookies so much that this recipe inspired us to make Hot Cocoa Pancakes too! 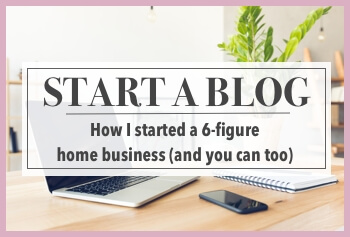 I’ve provided this quick list of shop-able ingredients for your convenience (disclosure policy here); free printable copy of recipe with exact ingredient amounts and directions is available at the bottom of the post. 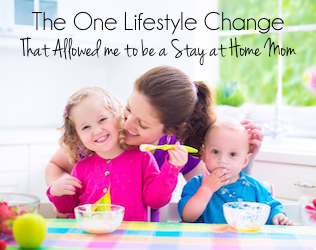 Click here to jump to printable recipe. 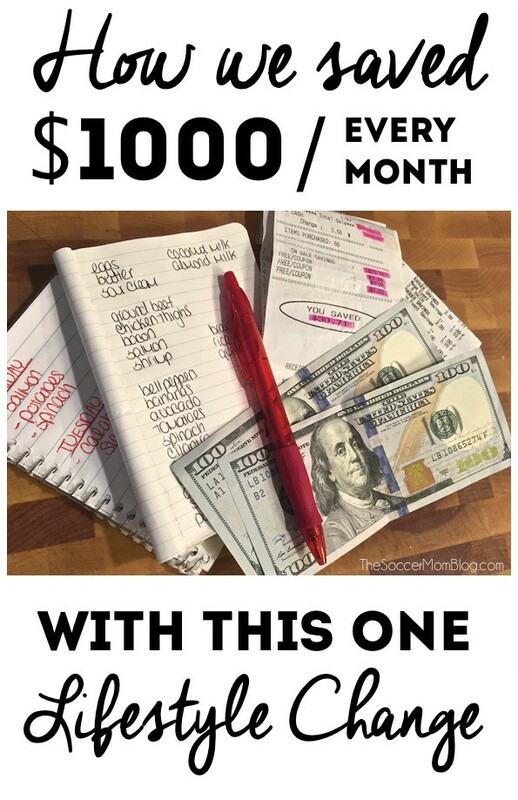 A full printable copy and video tutorial of this recipe are available at the bottom of the post. 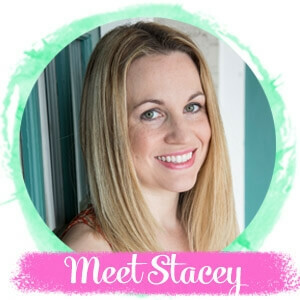 Keep reading for prep tips and photo step-by-step instructions or click here to jump to printable copy and video. 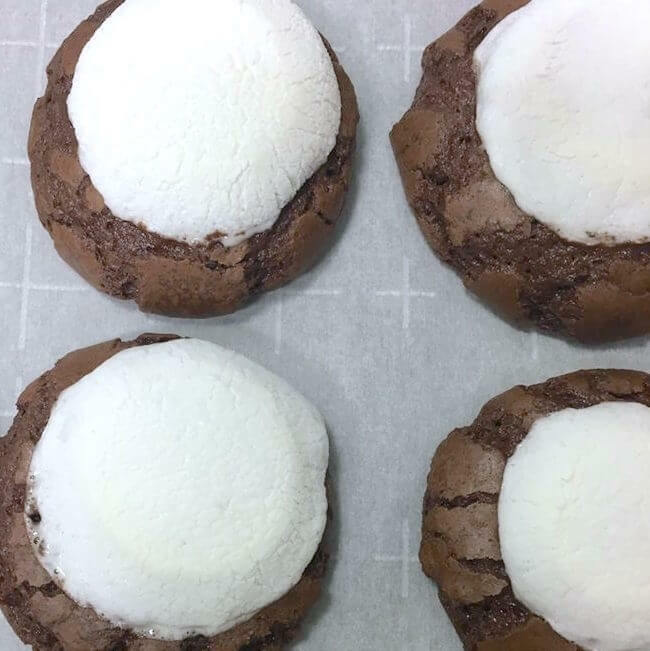 For your convenience in re-creating our Hot Cocoa Cookies, I’ve provided shop-able ad links to some of the products used; disclosure policy available here. Small plastic squirt bottle — makes icing cookies a breeze! When chocolate sauce is cooled to room temperature, beat into your bowl of wet ingredients. Then gradually mix your bowl of dry ingredients into the bowl of wet ingredients. Scoop the dough (will be a thick brownie-like texture) into a bowl. Cover bowl and place into the fridge for 4 hours. 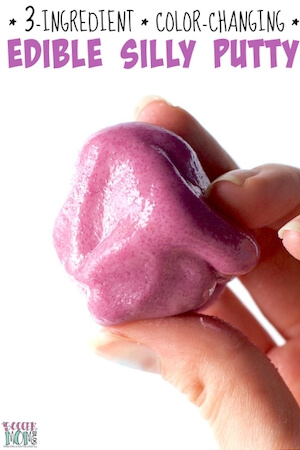 Scoop a small amount of batter into hands and roll into a ball (about the size of a ping-pong ball). 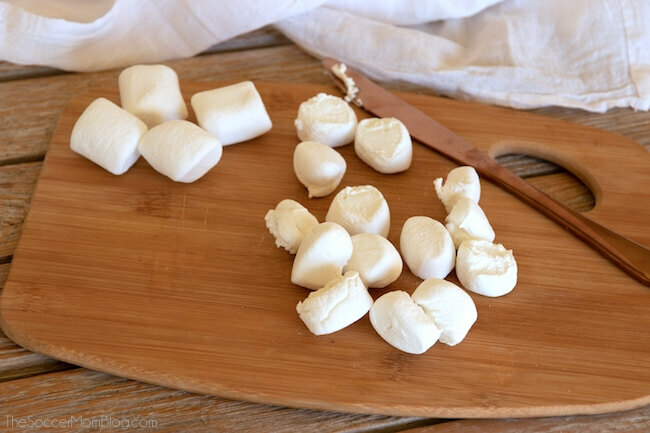 While cookies are baking, cut the marshmallows in half. Return cookies to the oven and bake for another 2-3 minutes. Remove from oven and allow to cool for a few minutes before transferring to a wire cooling rack. 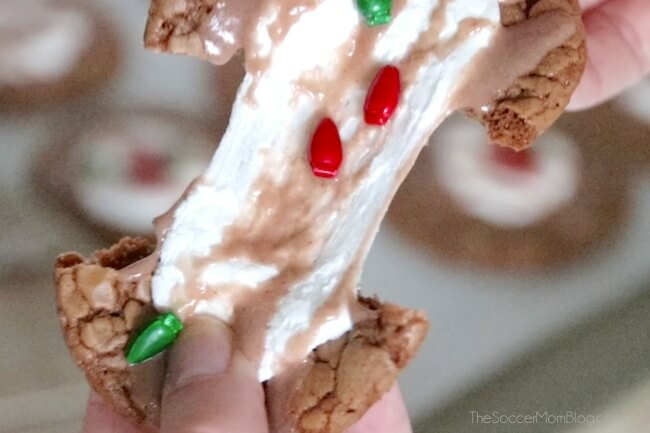 When cookies are cooled to room temperature, it’s time to decorate! Whisk together icing ingredients in a mixing bowl. TIP: If the icing seems too thick, add about 3 tbsp of hot water to thin it out – continue whisking until icing is smooth. 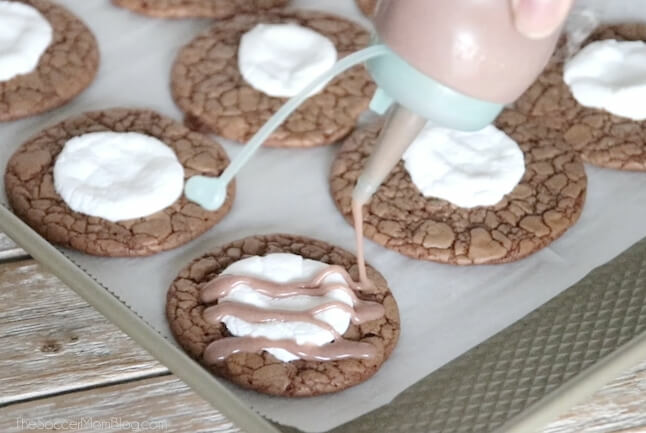 You can spoon icing over cookies, or use a squirt bottle as shown below. A bottle like this helps make your cookies look super neat and tidy! Gently press sprinkles into the icing before it sets. We recommend icing each cookie one by one, that way the icing won’t harden before you have a chance to put sprinkles on. 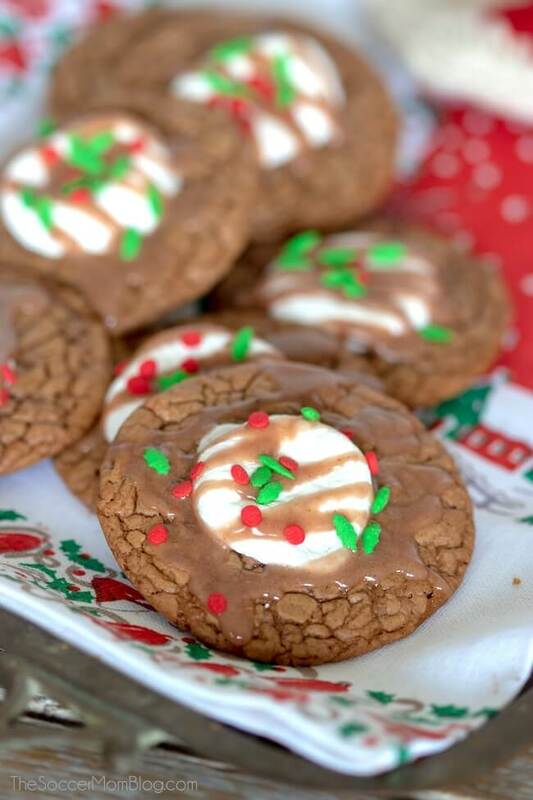 To see a video tutorial of how we made our hot chocolate cookies, scroll to bottom of post. 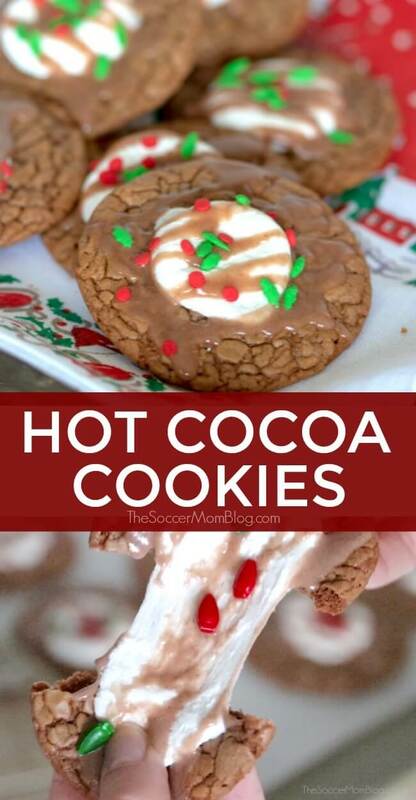 Related: Try our Hot Cocoa Cookies with our Oreo Creme White Hot Chocolate! What a treat! Like a warm mug of hot cocoa, only better! 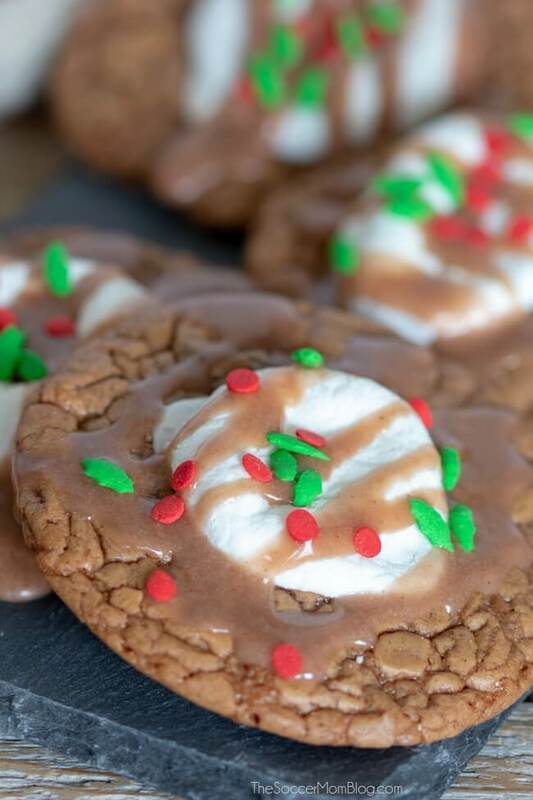 These rich & chewy hot chocolate cookies are the perfect treat for snowy days or as a part of a holiday cookie spread. In a double boiler, melt together the butter and chocolate, stirring frequently. Once melted, set aside to cool. In a medium mixing bowl, whisk together flour, cocoa powder, baking powder and salt. In a standing mixer, beat sugar, eggs and vanilla on low speed until combined. Pour in cooled chocolate and continue mixing. Gradually add in the dry ingredients and continue mixing until batter is well combined. 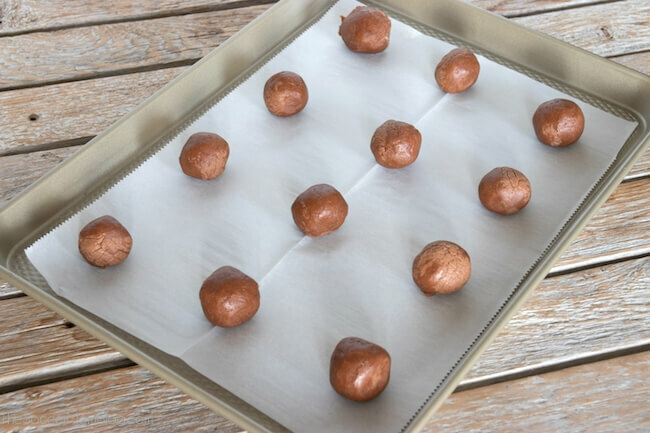 When ready to bake, preheat oven to 325°F and prepare a cookie sheet with parchment paper or a non-stick silicone baking mat. Place dough balls on cookie sheet about 2 inches apart. 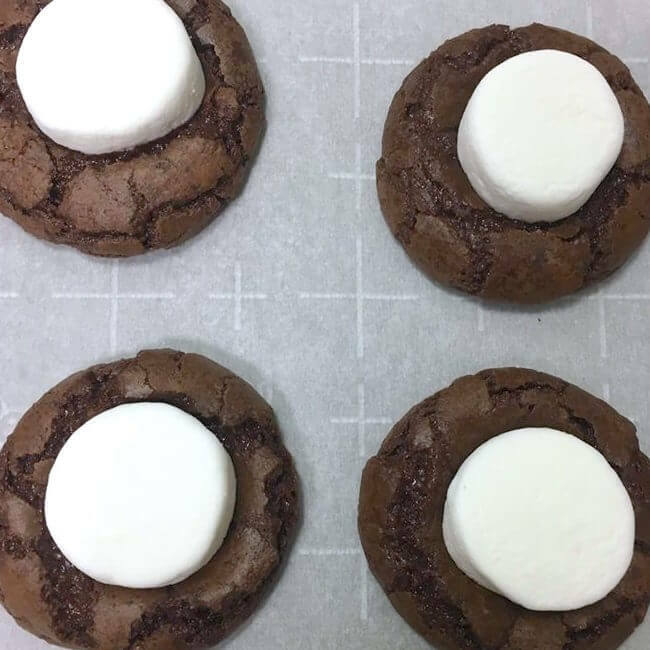 Remove cookies from oven and place a marshmallow into the center of the cookies. Lightly press marshmallow into cookie to secure. Combine all icing ingredients into a large mixing bowl and whisk together until combined. If the icing seems too thick, add about 3 tbsp of hot water to thin it out - continue whisking until icing is smooth. Spoon icing on top of the marshmallow of a couple cookies, then coat with sprinkles before the icing sets. Repeat icing and sprinkling on the rest of the cookies, only a couple at a time. 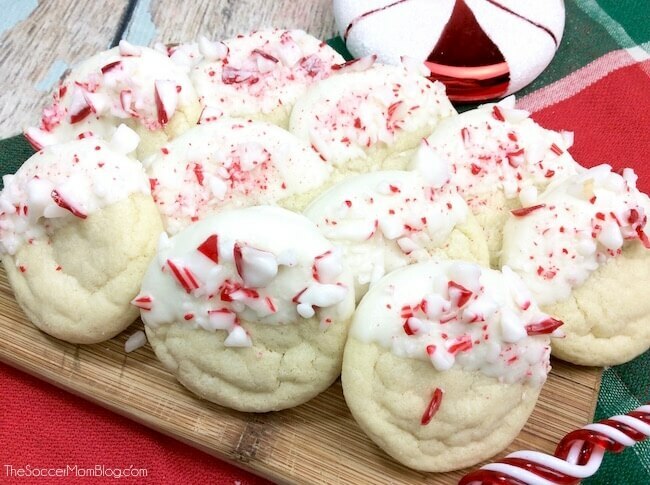 (If you pour the icing on all the cookies at once it may harden before you have a chance to put sprinkles on every cookie).